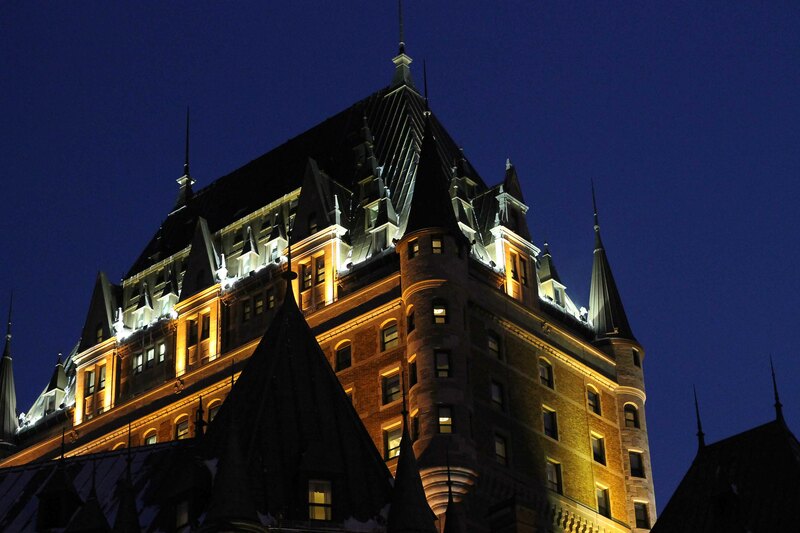 Quebec is an absolutely beautiful city – I’m not the biggest cityscape admirer, frankly, but I was wowed by all the beautiful buildings and lovely vistas. My roommate and I are already planning to go back (me with a wide-angle lens this time!) during the summer and definitely going to try to attend the carnival again next year. This building with the little blue trees was great! 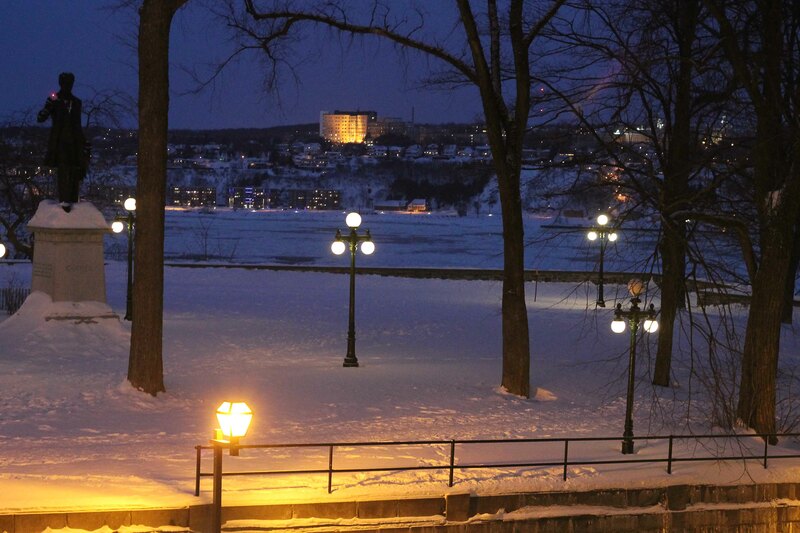 Quebec is very fond of colored lights and the whole city becomes a rainbow after dark. 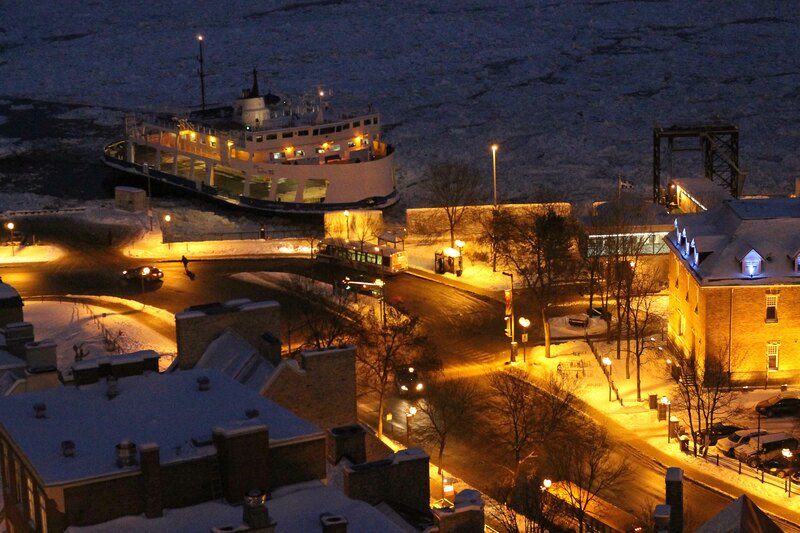 A boat on the river – look at how lit up and lovely everything looks! The park next to the Carnival grounds – the parks in Quebec are definitely optimized for snow and winter, so they were completely functional while we were there. And gorgeous! Lots of nature in the city! 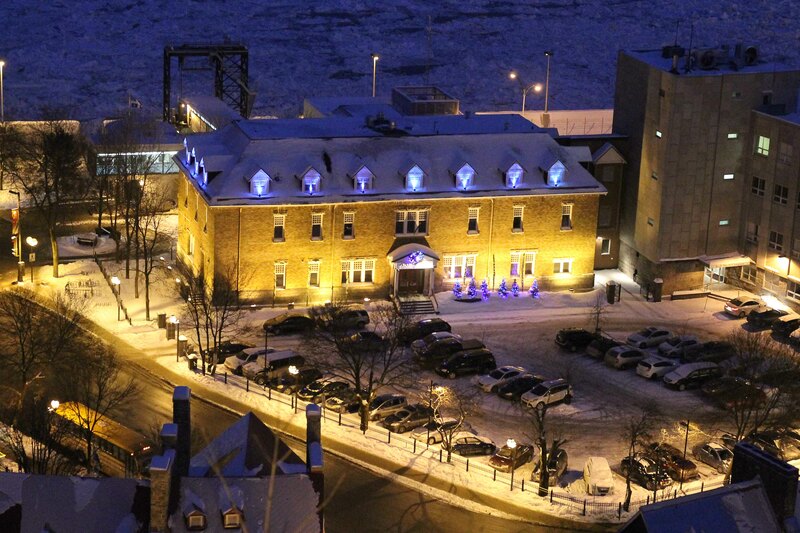 And finally, one of the many tiny adorable hotels that are all over Quebec. 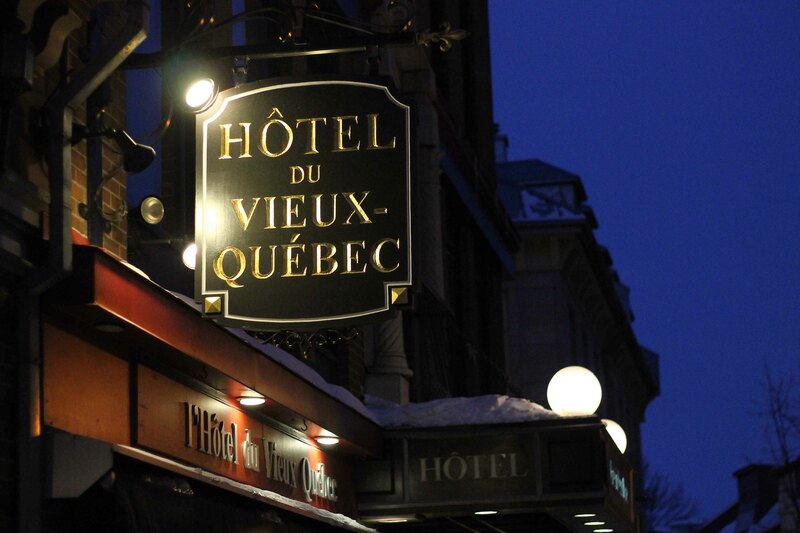 We stayed at the Auberge hostel – it was fantastic: Cheap, centrally located (walkable for Old Quebec), clean, and with good hostel amenities. But there looked to be tons of excellent options for every budget and comfort level. Thanks so much – I’m the worst with names! Edited!